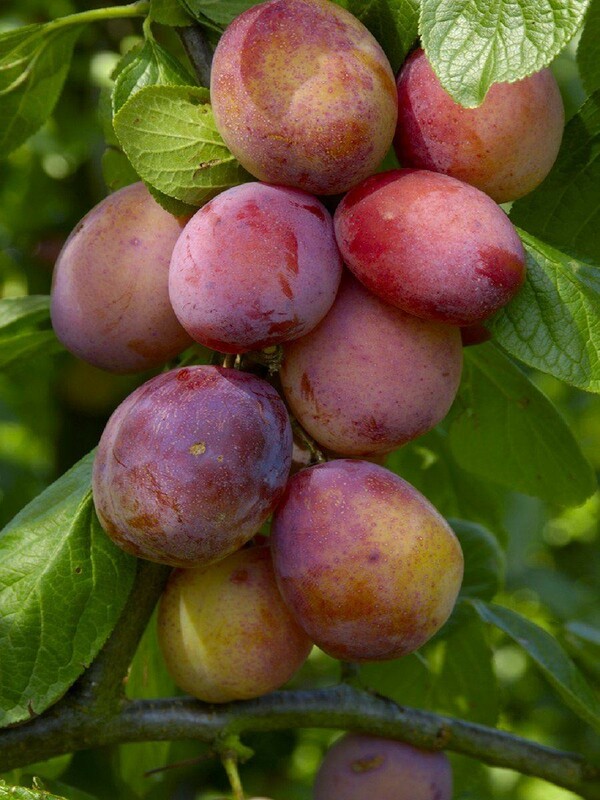 PLUM TREE - Multi-Variety Fruit Tree - PLUM - 5 varieties on one Tree! 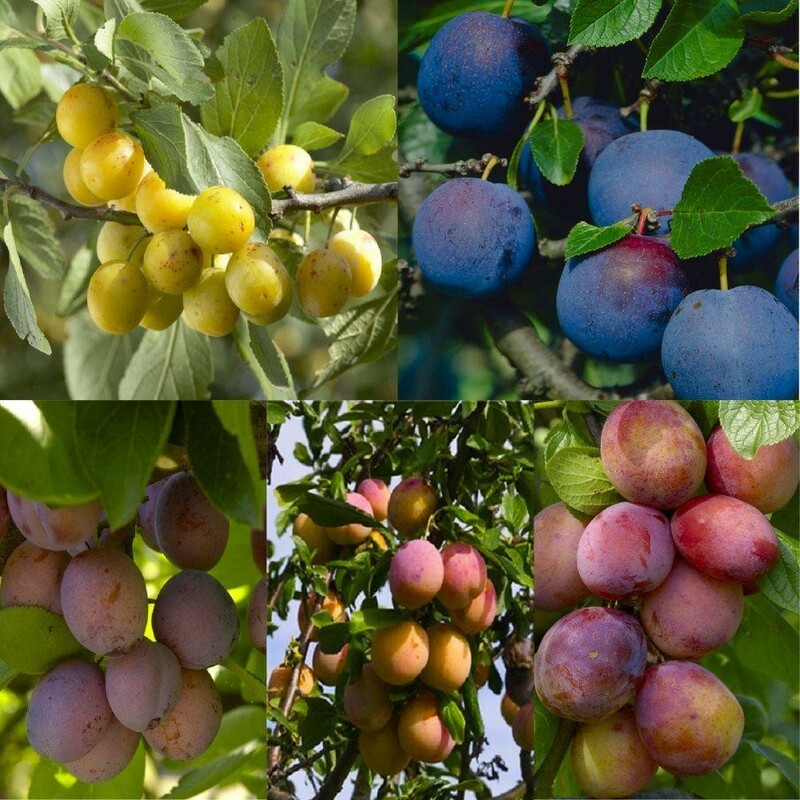 Gardening Express are proud to present these multi-variety fruit trees, also known as Family Fruit tree, we believe we are the only nursery in the UK offering these incredible unique trees that allow you to grow several different varieties of fruit in the minimum of space. Here and there you may find 'duo' fruit trees offering two varieties on one tree, but we have worked hard using traditional grafting techniques to produce trees that feature 5 different varieties on just one tree! We have grafted them on to special dwarfing rootstocks meaning that your trees will always remain compact, reaching around 6-8ft at maturity. This means that your fruit will always be in easy reach to pick, and the trees will remain manageable, no need to climb ladders to pick the tasty fruits with these lovely trees. 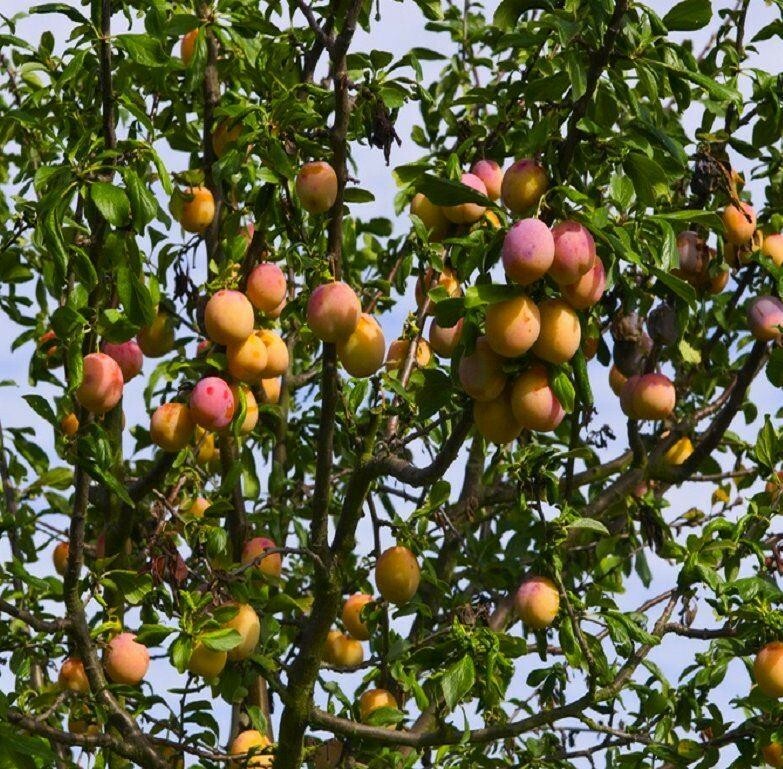 If you have limited space but have alwats wanted to grow several different fruit varieties these trees are perfect, with each tree producing good yields of delicious fruits. With the wide variety you can pick from your multi-variety family fruit tree, they're is sure to be a flavour to suit all tastes. Furthermore, with five varieties grafted on to one tree, they can cross pollinate each other, making the tree entirely self-fertile with no need to plant extra trees to help pollination. 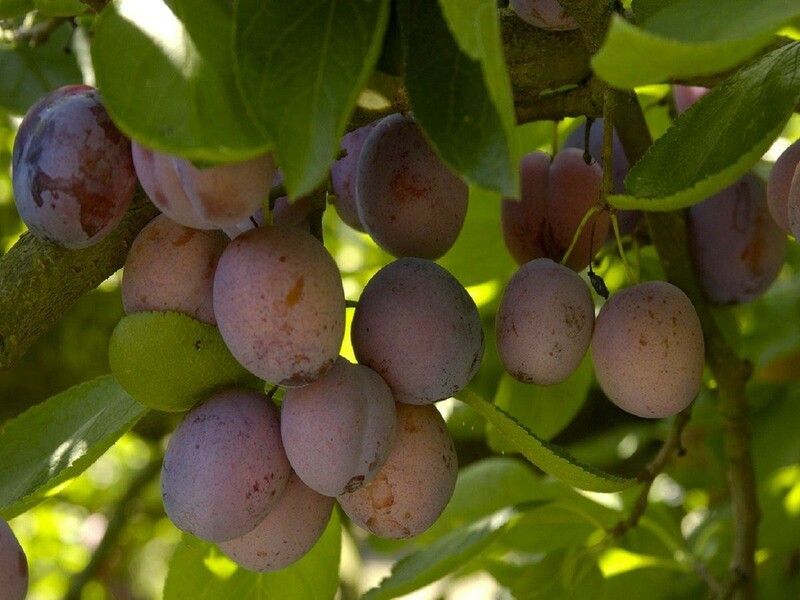 They fruits will ripen and crop over a period of two to three months which also give an extended picking time and more fresh fruit for longer rather than a two week glut of fruit all in one go. Supplied well establised and pot grown, these trees are up to 150cms tall on delivery, very strong and sturdy and ready to fruit. They are great to plant out in the garden or also do in large patio planters - they'll even grow on a balcony in a large tub if that is all the space you have. 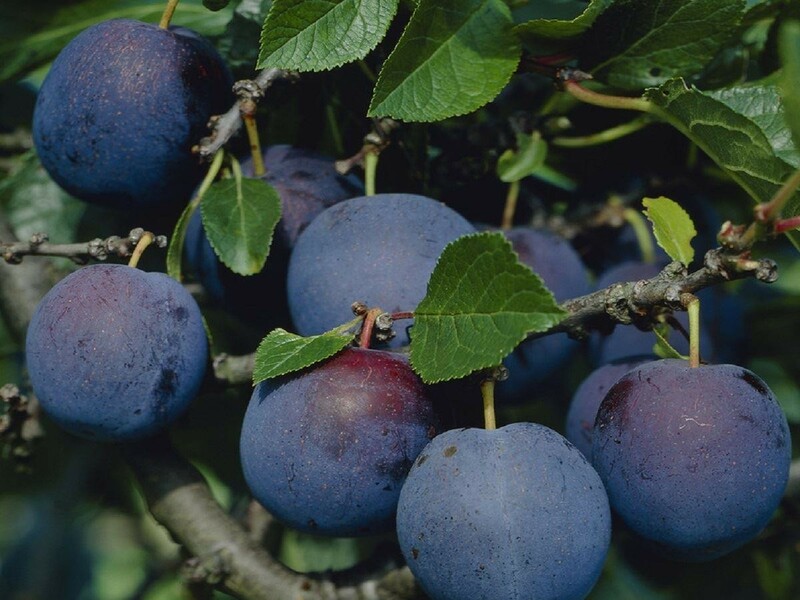 The five varieties of Plum you can expect to pick from this tree are: Victoria, Opal, Reine Claude d'Oullins, Mirabelle de Nancy and Bleue de Belgique.